← Who Deserves A Severance Package: Ms Neala Barton or the AHS Executives? Alberta’s Auditor General blew a gasket. He called the government’s performance on climate change strategy “troubling” and “disturbing”. Hey, he’s a mild mannered accountant; this is as in-your-face as he gets. Mr Saher kicked off the July 2014 audit report with a lesson on the role of government. A good government puts the right people in place to get the job done. It exercises ministerial oversight (gee, there’s a thought) and most importantly, is accountable and ensures Albertans receive value for the money spent on government programs and services. Mr Saher tested Alberta’s climate change strategy against these criteria. It failed miserably. In 2008 the government set out emissions reductions targets for 2020 and 2050 but didn’t bother to properly monitor them to see if the targets were being met. It spent $1 billion on carbon capture and storage to reduce emissions but discovered that CCS will reduce emissions by only 10% of what was expected. Maybe not, but it does reflect a lack of commitment on the part of the government and industry to any climate change strategy whatsoever. Cenovus CEO, Brian Ferguson said he’d support a carbon tax if it was appropriately structured. It must be spread across the entire value chain—production, transportation and consumption. Okay we can live with that. But wait, Russ Girling, CEO of TCPL, says that the carbon tax must be worked out to the tiniest detail with all the “i”s dotted and the “t”s crossed to avoid unintended consequences. Funny, they were happy to see the departments of Energy, Environment and Sustainable Development slammed together under the Alberta Energy Regulator without worrying about the details…as long as the Regulator was run by their good friend and industry lobbyist Gerry Protti. The real question is how is this going to work on the ground given that Mr Prentice has hamstrung the team. 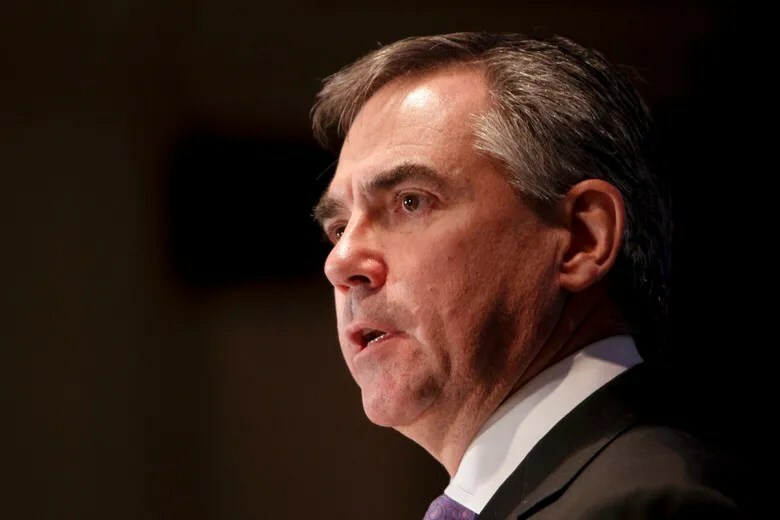 Mr Prentice won’t let the Environment Ministry raise Alberta’s $15 per tonne carbon levy unless the federal government and the US government do likewise. He says he might consider a “unilateral” move but he expects Alberta “… to get something for that from somebody.” Like what…Obama’s approval of Keystone XL? BC’s approval of Northern Gateway? In other words Mr Prentice is signaling to Messrs Ferguson and Girling: Message received loud & clear. Mr McIver was unavailable for comment. As usual. The Auditor General presumed that Alberta had a climate change strategy and was appalled by the government’s inability to deliver results. Unfortunately he’s got the wrong end of the stick. The government’s foot-dragging since 2008 demonstrates that Alberta’s climate change strategy is nothing more than window dressing meant to appease those wing-nut environmentalists who’ve taken other less enlightened governments hostage. Really Premier Hancock? Tell that to the Auditor General. This entry was posted in Energy & Natural Resources, Environment, Politics and Government and tagged 2014 Auditor General's Report, Auditor General, Climate Change, Jim Prentice, Lukaszuk, Merwan Saher. Bookmark the permalink. This is the Alberta government reality – improve communications and talk about improving performance and keep the data to ourselves; unless it’s extraordinarily good. The world (including Albertans) is now sceptical of our government – especially since both federal and provincial governments have been the main proponents of oilsands and fracking. What is needed is a change of government. Only then can we get a fresh set of commitments and a government that feels compelled to deliver measureable results! I agree David. Even though Mr Lukaszuk has shown a willingness to address the carbon levy we’ve been down this road before. Ms Redford said all the right things when she was running for the leadership of the PC party and made all sorts of promises when it looked like the PCs might lose the 2012 election but her promises turned to dust once when the PCs were returned to office. We can’t let this happen again. It is clear to me we need a new political party in government. Unfortunately, we get what we are. And what we are –is what we have in government. Most of us are into cheap government, short term returns for our investments and can’t defer gratification so that there would be something left for our kids other than tailings ponds lake regions. I think we need to turn away from right wing parties period. They have shown their allegiance to the oil and gas industry over every other matter. This may be a necessary matter for them in order to get the corporate donations that float their boats but certainly I feel is it an unhealthy relationship for democracy. In other words, when you are looking for mullah from the oil and gas industry (as well as every other corporation) to ensure you can run an election campaign to convince voters to rehire you—it is unlikely that voters figure very much in your governance objectives —other than the minor troublesome requirement to go through the business of election rehiring. The Tories have solved the matter of getting the voters on board by offering bribes only at election times and we’re so trained we take the bait. My MLA –Mr. Hancock is so predictable that I cannot have any entertainment with his yapping. What he said here in response to the auditor general seems to be the usual plastic he mouths every time there is a negative comment from someone about something. It is tiresome that he can’t change this boring response to something more gritty. Mr. Hancock is simply being the obedient employee of big oil when he yaps the usual Tory party advertisement of best in the world regulations. Well this may be true. But if there is no oversight of any sort or only the poor sort offered by the oil industry’s best buddy of the AER, in my mind -having excellent regulations means nothing. There will always be companies who are more interested in profits and will cut corners; such actions might result in environmental problems that we never get to hear about until forty years later. Of course, it doesn’t help that most Albertans appear to be more interested in making big bucks rather than worrying about our aquifers being contaminated. Money and jobs seems to trump environmental issues in Alberta. I have always been curious why we can’t have money, jobs and good environmental oversight. As for the carbon capture business I thought it was money wasted and for what purpose? We don’t even have any guarantee that the carbon dioxide will stay down there and I’m betting if it comes back up there will be major liability issues for this less than brainy government. I have no faith in Mr. Hancock. He needs to retire. I have no faith in Alberta Environment. I don’t think the AER is anything more than window dressing. The Progressive Conservative party is made up of folks who lack any courage and are willing to sell off the resources fast and cheap— that belong to all Albertans— to ensure short term gains such as being rehired while ignoring major issues such as fracking contamination of land, air and water. They obviously don’t care about the inheritance we are supposed to leave to our kids to pay for the major environmental messes that I doubt the oil and gas industry will stick around to clean up. Why should they? They have the Tories as puppets and they are in charge of the puppet show. I don’t know if any political party will be able to be independent of corporate control. But certainly we have to try to alter the toxic political dynamics in Alberta. It’s clear to me we need new managers. I do not believe these new managers should be the Wildrosies who seem to be more in the pockets of big oil than the current hires. I think we need to judiciously hire the NDP and the Liberals and downsize the right in Alberta. Of course this may not cure the problem which seems to be all about greed, continuation of a dynasty that has been allowed to reign way too long, and stupidity. We tend to vote right for what reason I can’t figure out. We should remember though that citizens get what they vote for. We voted the current hires in. Now let’s vote them out and get new people in who are interested in human issues above any other matter. Climate change is real. Environmental contamination due to fracking is real. Health problems due to oil and gas emissions is real. These are all human issues that are not being addressed. Instead we get the Hancock guy bleating the time worn magical spell of best in the world regulation at the environmental toads hoping to turn us into princesses and princes of the bitumen royalty. It’s too late Mr. Hancock. Great points Julie. I want to pick up on your comment about the close relationship between industry, the regulators and the conservative parties (PC and WR). Yesterday I saw an article in the Daily Oil Bulletin about Cenovus’s corporate social responsibility program. It said Cenovus was fined $259,385 in 2013 for taking too much water at Steepbank and emitting too much sulphur dioxide at Christina Lake in 2010/2011. With respect to the water infraction, they withdrew 14,000 cubic meters (5.6 Olympic sized swimming pools) more than they should have because they thought they could use an exemption under the Water Act to take this water without a license. Turns out they were wrong. With respect to the sulphur dioxide Cenovus is allowed to emit two tonnes of sulphur dioxide per day, after which they must install sulphur recovery units to stay below the two tonne/day threshold. They increased production at Christina Lake by 48% (according to BNN April 30, 2014) but didn’t add a new recovery units because their forecast showed that even with the added production they’d be below the threshold. They got a reading that said they exceeded the threshold but thought the number was an “aberration” and let it go until they did 6 more readings. The result? They exceeded the threshold on 23 days in December. They reported themselves to the Regulator and were fined $7000. Small price to pay for such a nice bump up in production wouldn’t you say. One last point, in 2013 Cenovus spent $100,325 in political contributions. Yes 7000 is probably what they make every minute. Just ridiculous. Who is checking these abuses? The industry itself!! Only in Alberta really. By the way Julie your post is great and I totally agree. One day in the future, Albertans will wonder what happened to our intelligence in this period. It must be too much sulphur – who knows. I am really struggling to believe that these people went to the trouble of establishing and setting out targets to work towards a goal, yet they didn’t think to include a step for measuring and reporting results. That just does not make sense – if true, then this demonstrates how little commitment there is to the goal. Had there been significant improvement towards achieving the goal, I have little doubt that we would have heard about that…..
department’s processes to ensure the accuracy and completeness of the plan’s data were ineffective. Well Susan they cannot achieve anything because they simply do not believe in the science of climate change. All they have been doing is just show to be able to sell oil to other countries. This is absolutely clear to me. This is also true with the federal Government. I think this will be my comment for this week. This total lack of competence and even interest is getting to me. It is hard to witness one of the richest areas of our planet, in many different ways, to be just destroyed with ignorance. Let someone go in and try to do a better job if your interest is only power and whatever else they find attractive. At least behave like educated adults you are supposed to be. Carlos I’ve been thinking about the fact that Cenovus made political contributions in the amount of $100,323 in 2013. Assuming that the big oilsands player contributed $100,000 last year that would amount to about $1.8 milllion in political contributions in 2013 alone. Add to that the contributions from the medium and small players and you get a good idea of the power of the oilsands lobby in this province. To me the question is not whether or not they are in the Oil powerful bag but rather whether or not we can scape it? Kathleen, thank you for that excellent link. I knew the Koch brothers were involved in the oilsands but I didn’t realize the full extent of their interest. Incredible.